Adorned in his finest attire, this serious little tomcat portrays the more serious side of the feline family. His colour portrait is displayed behind a domed pieces of quality glass and lays atop sturdy brass hardware. 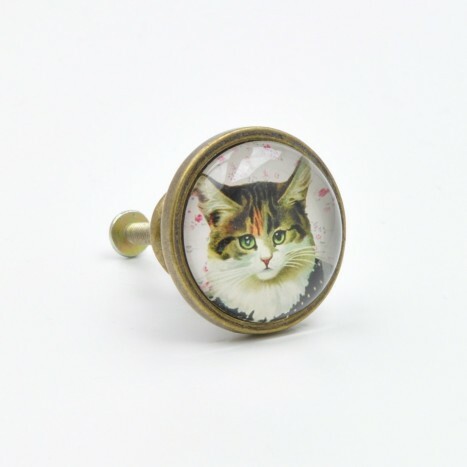 Tags: cat cupboard knob, painted cat cupboard knob, cute animal cupboard knobs, unique animal knobs, fun children knobs, dog and cat cupboard knobs, retro cupboard handles.